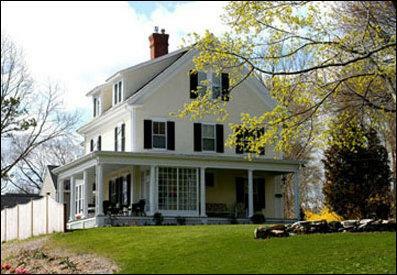 Welcome to Bayberry Inn Bed & Breakfast, a restored 1890 colonial home located high up on the side of a hill at 12 Hall Street, Plymouth, MA, overlooking Historic Plymouth Bay, and offering ocean views. 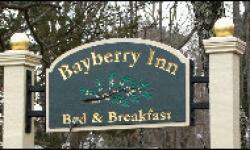 Bayberry Inn Bed & Breakfast is just a short walk to downtown shops, restaurants and attractions in Plymouth, MA, in the United States. Cathy & Michael your hosts at Bayberry Inn Bed & Breakfast, combine +30 years experience in the hospitality industry. Their attention to detail and sensitivity to their guests provide a hospitality event reminiscent of an earlier era. is obvious and there is of course the additional benefit of her elegance which comes through in everything she does. After enjoying one of Michael's fabulous breakfasts you may want to take a walk along the pier or enjoy a scenic jogging trail and bicycle path which is across the way from Bayberry Inn Bed & Breakfast. A visit to Plymouth, MA's beautiful beaches, the famous Mayflower II, Plymouth Rock, interesting downtown shops and the pleasantries of other historic downtown landmarks provide something for everyone. And let us not forget about the many other delights in the harbor, including whale watching, fishing and waterside dining.